My pretty little office. I put such love and thought into changing it from a little boy's bedroom to a spacious room filled with things I love—a place I can go when I need utter quiet. A writing room. This, though, is the reality of my pretty little office. 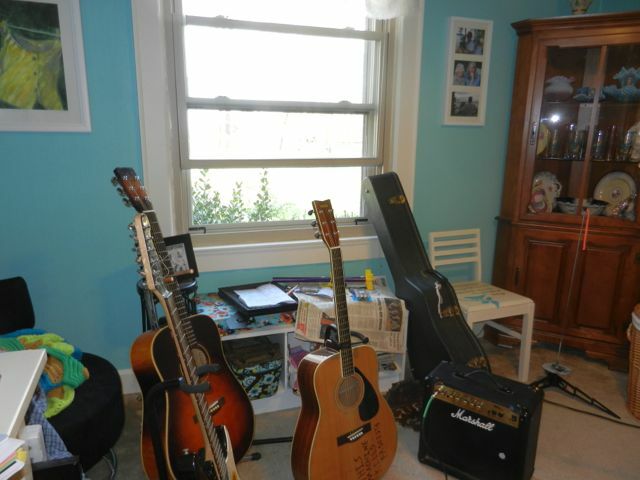 Guitars and model rockets. Thankfully, my family doesn't do guns and deer heads because I imagine they'd end up here as well. I'm trying to figure out a way to reclaim my office. In the meantime, I sure like having boys who play guitar and a husband who builds model rockets with his son. Our support group’s annual Homeschooling 101 is coming up soon, and I’ve been putting together notes and packets in preparation for my presentation. I love looking out at the audience and seeing so many people; and whether their faces are eager, apprehensive, confused, or even terrified, they all have this in common: they desperately want to do the best for their children. Some of them will find out that homeschooling is the absolute best choice they can make; others will pursue different avenues. what piece of advice would you give a newbie? 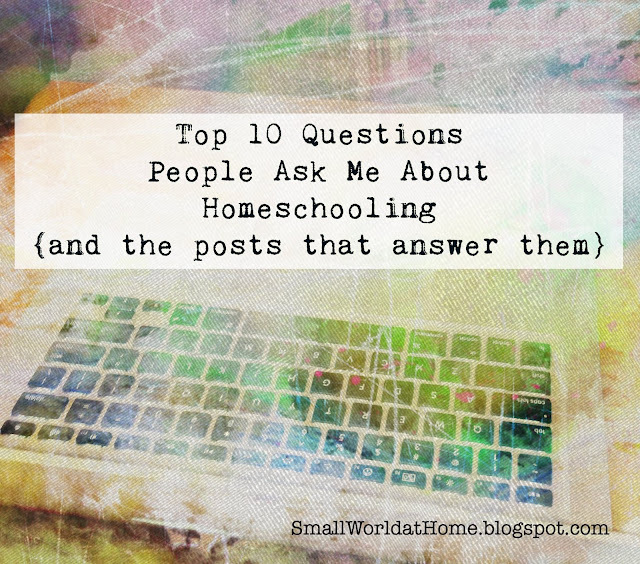 Come on over to Simple Homeschool today for my best dozen pieces of advice! I promised them wildflowers originally. But as the time got closer and the weather stayed unusually chilly, I was doubtful. My heart fell as we entered the Sinks and saw just a sprinkling of tiny white spring beauties. I was expecting this: a carpet of wildflowers. I was terribly disappointed. But my friends, who came from three different cities to hike in the Smokies, weren't disappointed. They saw the fairlyland of the woods in spring even without the wildflowers. They saw the moss covering rocks and logs, and the sunlight streaming through the still leafless silhouettes of trees. To them each tiny white flower was picture-worthy. They didn't know what they were missing, and instead saw what was there. There is something profound in that and I should probably tie it in with some kind of worldview mantra, but for me it was simply a reminder that I live in a beautiful place, no matter what time of year.